Join Sister Hilary every Friday in the yard of the Miksch House to see the way Sister Henrietta Miksch historically baked her gingerbread to sell to customers over a period of about 30 years. You never know what will be on the menu for the day and you might just be asked to go out in the garden and grab one of the ingredients. Sit down, ask questions and enjoy the atmosphere of the totally immersive environment of the Miksch House. 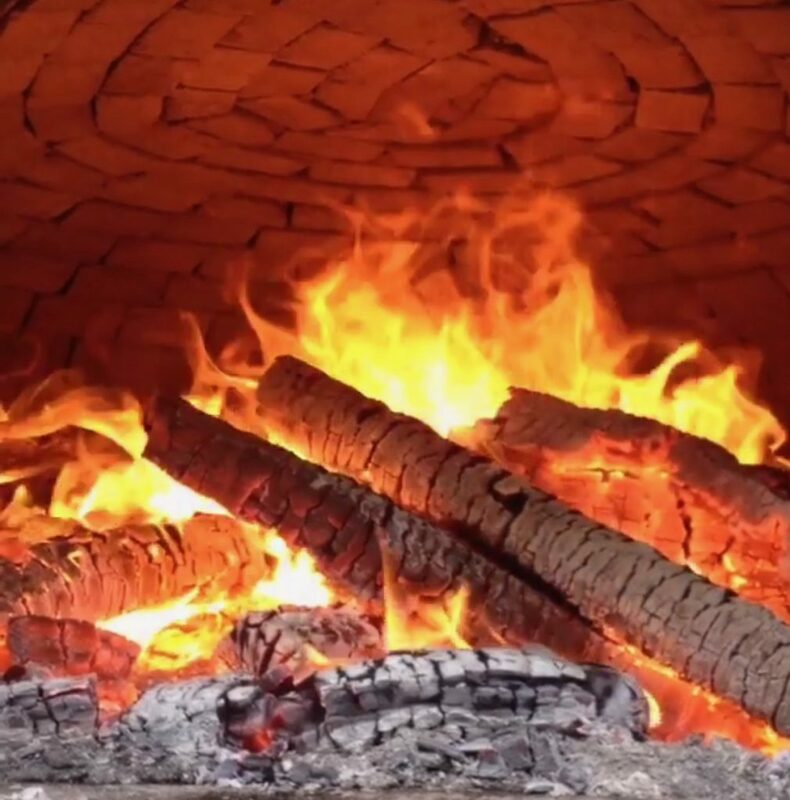 The reconstructed brick beehive oven is stacked with wood and burned down to hot coals. After the coals are removed, the oven is allowed to cool to the proper temperature before inserting trays of ginger cakes, bread, or other baked goods. It is the heat from the hot bricks that bakes the delicious treats!